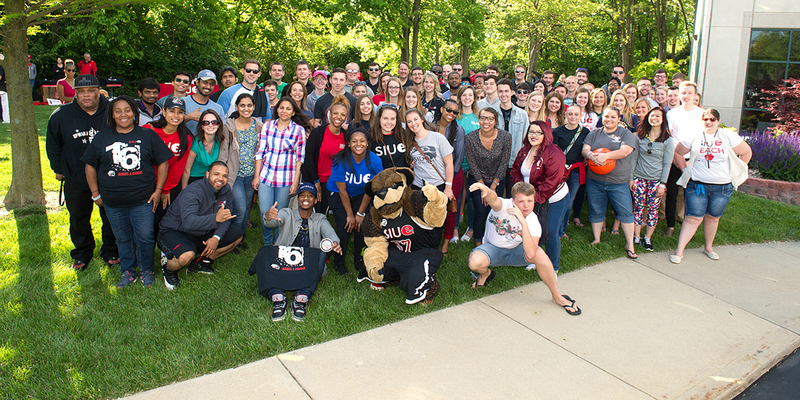 Tricia Viviano studied Mass Communications while attending SIUE. While at SIUE, Viviano took internships with the St. Louis Blues as well with St. John's Mercy Hospital. Her experience at St. John's must have been positive because she has been with the hospital for the last five years and is very happy there. Viviano was married two and a half years ago to another SIUE alumnus, Mike Viviano ( CNST `88). "He just graduated as I was just starting but it is neat that we both graduated from SIUE," she said. They did not meet at SIUE but through family and friends. When the two were married they had engagement photos taken on the campus in the quad area. "During the spring the different flowers and plants are really beautiful on campus," said Viviano.